Powering you to achieve your best. Make the most of your time with us. Whether you're looking for an inspiring space, expert advice or information, we're here for you. 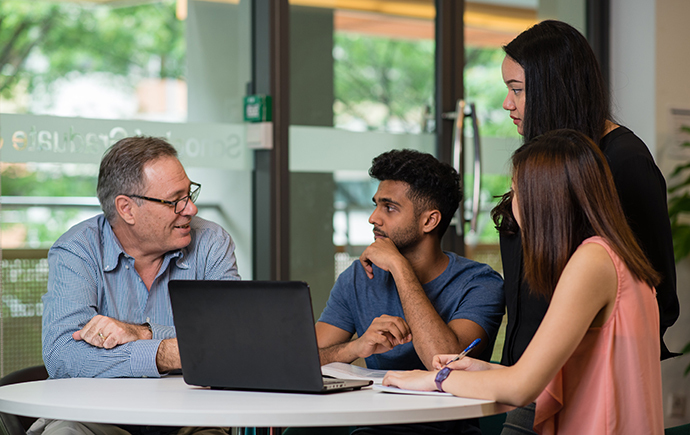 Our innovative study spaces – like our group discussion rooms – are designed to accommodate your diverse learning styles, activities and work preferences. Check out what library materials you can borrow and access. Learn how to request and return items or how library fines work. Need to scan, print or make photocopies? Access our computers or bring your own device and connect to our free Wi-Fi. Service desks, self-check out facilities and 24/7 book return – we have you covered. Have a question? From opening hours to room bookings, you'll find the answers here. We're here to support your study and research. It’s what we do best.